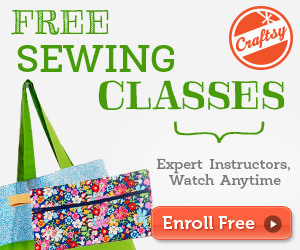 When it comes to sewing crafts, you are no slouch. You can tackle the large upholstery order from your friends, or provide fabric gifts to every family member on your 20-page holiday wish list. Unfortunately, regular sewing machines simply can't handle the volume of projects you are creating as they are burning out on you. It's now time to look into getting the best industrial sewing machines that offer the ﻿﻿﻿power﻿﻿﻿ and speed you desire, especially since you have considered making your own crafts to feature in your e-commerce store. Professional sewing machines can make a wide range of items such as quilts, drapes, canvas purses, leather shoes and even car upholstery. I will feature some of the industrial sewing machines that are available for home use. Buyer’s Guide: Top Features to Look for! The Janome HD1000 can plow through any type of fabric without any missteps, yet it excels with doing large upholstery projects. When it comes to completing as many sewing projects as you can without having your sewing machine slow down, the Juki DDL-8700 Straight Stitch will handle anything you throw at it. This sewing machine features a 110-volt clutch motor, so you will feel the 5,500 stitches per minute speed from the get go as soon as you press down on the lever. The sewing machine can handle most types of fabric. The Juki DDL-8700 is the top of the line that will always give professional stitches every single time you step up to the table. If you decide to purchase this machine, it will arrive already attached to the stand. So take this factor into consideration when measuring door sizes so you can get it into your home. You will enjoy fast speeds without the stitch quality being affected. The Juki DDl-8700 clutch motor is a beast of a machine. It is professional grade as it can give you the power and durability to complete large numbers of sewing crafts. It can work with lightweight and medium fabrics, while some users also claim to have used it on heavy fabrics, such as leather, with ease. It is noisy due to the clutch motor. There is another model that features a quieter servo motor if noise will be an issue. You may have never heard of Juki sewing machines before this post. They are a Japanese sewing machine company that is famous for creating heavy duty models as they supply these machines to over 170 countries around the globe. One of the things you will immediately notice is that there is less table vibration with this machine. Thanks to the servo motor, using this sewing machine is more comfortable whether you are doing small or large craft projects. You will have everything that you need included so you can start on your crafts immediately once it is in your home as any difficult task will be made so much simpler. The Juki DDL-5550 Straight Stitch Servo Motor offers a quieter 110-volt servo motor. A servo motor will give you more speed control versus the clutch motor while using 30% to 60% less energy. People who want to learn how to make industrial sewing applications will like the speed control offered by the servo motor in the Juki DDL-5550. The stitch quality is also flawless. Perhaps the only disadvantage is the price. Also, this is a straight stitch machine as you won't find the zigzag or other decorative stitch patterns found with more traditional sewing machines. If you are looking for a model that has more traditional features, then the Brother PQ1500SL is one to look into for. It offers 1,500 stitches per minute and handles fabric like a dream, even the fabrics that are prone to cause problems. It is definitely a sewing machine designed for quilters as it allows for all types of quilting projects including grid quilting and free-motion quilting. The Brother PQ1500SL is a nice transitional machine for advanced beginners looking to up their sewing game and create more projects. It is jam-packed with features -- from the push button auto thread trimmers to the auto needle positioner -- that will have expert seamstress delighted by this machine. A person can definitely grow their skills with it. It offers the functionality of traditional machines. It is perfect for quilting crafts as the automatic needle threader is a time-saver for quilters. IIt is durable and reliable. Users of the Brother PQ1500SL comment that they had trouble adjusting the tension. They experienced problems with getting the thread engaged in the tension discs as beginners may find getting the right tension difficult. Looking for the best industrial sewing machine for leather, canvas, silks, denim and other fabrics as it can handle layers effortlessly? Although it looks like a traditional sewing machine, you have plenty of work-space for your projects due to the extra-large sewing space. Another great feature is the automatic electronic thread cutter as you will have professional finished stitches. The Singer S16 Studio is perfect for most sewists whether they are making crafts for the home or as a business profession. It can handle any type of fabric that you place under the needle. The extra-high presser foot lifter can handle lumpy fabric with ease without losing stitch quality. The Singer S16 Studio has the bobbin-winding function which is ideal when working with quilts. 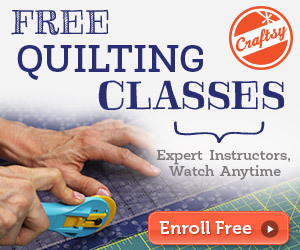 It does not come with a free arm for free-motion sewing since it is a straight stitch machine. The sewing machine also has a side-bobbin feature that could make it difficult for beginners to load the bobbin. The Brother Designio Series DZ1500F sets itself apart due to its affordability, performance with heavy materials and its needle felting capabilities. If you never heard of needle felting, it is a technique where you can create 3-dimensional craft projects with wool. The Brother Designio Series DZ1500F can do this easily while working with all types of other fabrics and garments. You won't find smoother fabric feeding than what you will get with the Brother Designio Series DZ1500F. It even offers a dual thread stand so you are always ready to continue any project without worrying about running out of thread. The Brother Designio Series DZ1500F has everything that helps people to transition into professional sewists. It offers high-quality stitches even on heavier fabrics as the fabric separator tools prevents the seams from puckering. You can do every craft imaginable on this sewing machine as it opens the sewing possibilities. Some people have mentioned that they had problems with thread tearing. For crafters who may one day want to open up an e-commerce store or regular brick-and-mortar store to offer fabric creations to the public, the Singer 191D-30 may be the perfect one for you. It is suitable for medium to heavy fabrics as it features a clutch motor that has tons of power as you will see speeds of up to 4,000 stitches per minute. So if you are into upholstery, home decorator or fashion designer, you will be able to create a multitude of garments, home decor and fabric crafts quickly. When it comes to speed, the Singer 191D-30 leaves traditional sewing machines in the dust. The extra-high sewing speed is reported to be 6 times faster than conventional models used in the home. If you were ever afraid of layering fabrics in the past due to dismal results, Singer 191D-30 will give that extra boost of confidence as you will have no problems sewing multiple layers of material together. The adjustable presser foot pressure function gives you extra control of the quality of the stitching based on the fabric you are working with. It also features a reverse lever to making strong seams as it offers a large amount of power from the clutch motor. Due to the clutch motor, it can be noisy. There is no speed adjustment available to slow it down. Here is a Juki DDL-8700 that has a servo motor instead of a clutch motor. I have already featured the Juki DDL-8700 in this list because it is a great, overall sewing machine. Yet sewists may want something with a bit more speed control and less energy consumption. It costs more than the one with the clutch. It also basically has the same functions as the Juki DDL-5550 servo. The only difference is that the DDL-8700 was manufactured in China while the DDL-5550 was made in Japan. If you are worried about operating the Juki DDL-8700 with the clutch motor, then this industrial sewing machine with the servo motor will be just right for you. It offers some of the most optimal straight stitch quality that cannot be found with other machines in this category. You will also be amazed that such a powerful machine can operate so quietly. It offers consistent, quality stitches. It can work with most light to medium fabrics, and can be used on heavier fabrics such as denim and canvas if you purchase the right needles and thread. It is powerful enough to handle any project. Some people have reported that the included needles are prone to breaking because they are not a strong quality. There are some big differences between an industrial and a traditional machine for home use, even if they sometimes look similar. While today's regular sewing machines are being made out of plastics to save on manufacturing costs while being lightweight for consumers, industrial sewing machine components are crafted with mostly metal parts such as aluminum and cast iron. They are made for long production runs in factories as they required higher quality parts for durability. There are typically four types of industrial sewing machines based on the configuration of their arm and needle post: flatbed, post bed, cylinder bed and feed off-the-arm. The ones I will review are normally flatbed, as they look like traditional sewing machines as they have a flat base for sewing fabrics. A post bed sewing machine has a vertical cylinder rising from the base of the machine. In the cylinder are all the feed dogs, cylinders and loopers as you can create boots, gloves, and other projects that would be difficult to sew in a prone position. Cylinder beds have the base shaped as a cylinder as you can sew shoes, cuffs, seat covers and saddles. Feed off-the-arm industrial sewing machines are seldom used in home settings as the machine has a long horizontal column from the axis as it can be used to sew shoulder and sleeve seams. Industrial sewing machines are designed with enough power to complete projects in the shortest amount of time during long production runs. They will typically have stitch speeds of anywhere from 1000 to 5,000 stitches per minute. Clutch motors and servo motors are what makes the components run efficiently. Clutch motors will run continuously even when you are not doing anything with the sewing machine. The motor is noisier as you can hear it humming. The moment you press down on the pedal you will feel the full force of the speed as the clutch motor is a power horse. It is ideal to have a clutch motor when working with very heavy fabrics such as leather and canvas. Servo motors consume less energy than a clutch motor as they only turn on when pushing on the pedal. They are quieter and lighter than clutch motors as a servo motor has adjustable speed options. Servo motors are usually more user-friendly as they allow you to make intricate and delicate stitches while also handling heavy fabrics such as upholstery and leather. Another interesting feature is that they can come with different ways in which to feed fabric through the sewing machine. Drop feed mechanisms are the most common type as the little metal teeth on the machine grab the fabric and push it along. There are also manual feed machines in which you control the fabric's direction. Other types of feed mechanisms are walker foot feeds, puller feeds, and needle feed machines. There are certain aspects to look for when you are researching industrial sewing machines to buy. Always keep in mind the projects you plan to make as you can then narrow down your choices by seeing what type of power, stitches and work-space. The more expensive a model will offer higher stitches per minute. Just keep in mind that you don't want to compromise stitch quality due to the speed of the machine. Larger sewing machines will have more clearance room along the base and under the foot. Yet you also need to be aware of the amount of room you have for the machine. You don't want one so large that takes up too much space in your sewing room. Industrial sewing machines should have all the stitch patterns that you need for your crafts. Common stitches should include plain stitches, lock stitches, overlook stitches, coverstitches and chain stitches. If you plan on making fabric crafts with mainly heavier fabrics such as leather, canvas and denim as well as sewing multiple layers of heavy fabrics together, you might opt for a more powerful clutch motor. If you are looking for more decorative stitching on medium and lightweight materials, then a servo motor will fit your needs. There are specialized industrial sewing machines that are suited for certain types of projects. There are ones that are specifically designed to make garments while another might be the best sewing machine for leather bags and upholstery. If the manufacturer doesn't state what the sewing machine is best for in the user guide, then take into consideration how high you can lift the presser foot. There should be a clearance of 3 millimeters between your material and the sewing needle so you can slip denim, canvas and leather smoothly underneath when sewing. When selecting an industrial sewing machine, you want one that will fit your current needs and your future expectations. If you plan to become a professional seamstress, you want a machine that can keep up with you and your numerous craft projects. An industrial sewing machine, while being a higher cost, might be the best investment to make when looking for a reliable and durable sewing machine. Moreover, bear in mind that these machines can be really expensive. I featured some of the lower-priced models that are still considered affordable and will offer you enough functionality when you are using them in the home. Yet if you plan to take your sewing craft to the next level and perform commercial sewing projects for profit, then do your research of both low-priced and high-priced models to select the one that can perform reliably and will be durable enough for the long term. A detailed review about the best sewing machines for novice crafters. If you are looking for the perfect model to work with denim, read this review. A roundup post about the models that can help you make embroidery. Want to accomplish more with your machines, check out this post.